Home repairs got you down? Been putting off all those annoying jobs around the house? 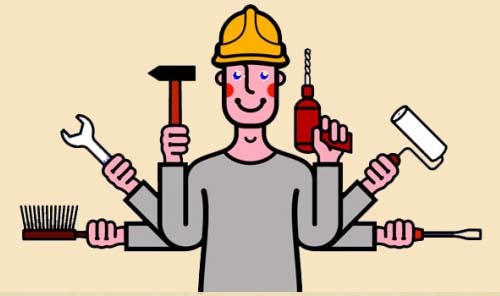 Just can't seem to find the time for: Garden tidying, rubbish clearance Mending and general repairs Simple plumbing jobs Assembly of furniture, putting up shelves, etc. Installation of laminate floors and loft insulation Painting and decorating - inside or out and more besides...... Jobbing George can come to your rescue.